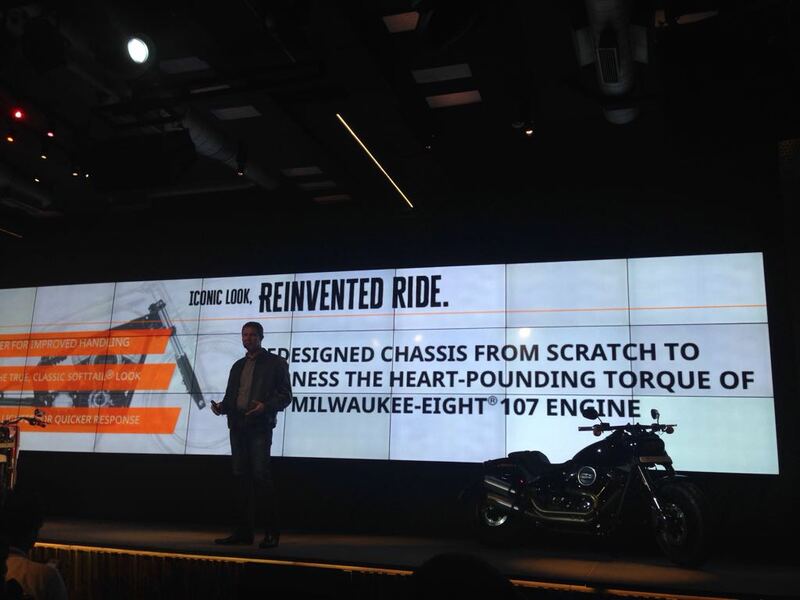 Harley-Davidson India is all set to launch its 2018 Softail model line-up. Follow our live updates from the launch event as we bring you information on prices, features, specifications of the new bikes. 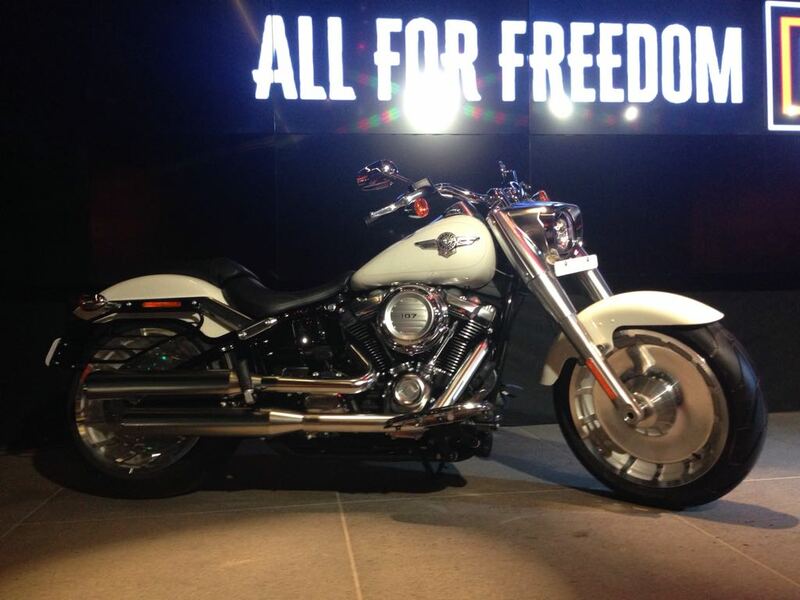 Harley-Davidson India is all set to launch its 2018 Softail range in India. 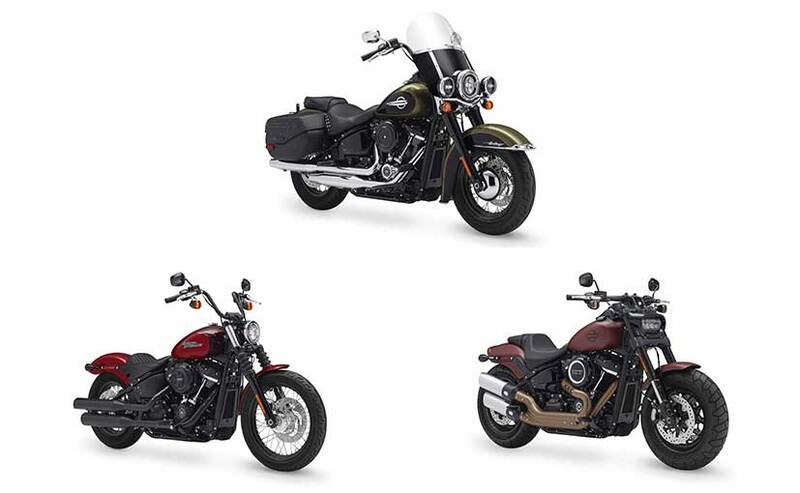 The Softail line-up consists of the all-new Fat Bob, Street Bob and the Heritage Classic. The American motorcycle manufacturer looks to phase out its Dyna range of models as it looks to have one single family, where different models can share the platforms and engines. These new Harley-Davidson bikes will be sharing the new Milwaukee 8 107 engines. Unfortunately, India will not be getting the Milwaukee 8 114 engines. Up first is the 2018 Fat Bob, which has undergone a massive upgrade in terms of design and styling. The all-square LED headlamp along with the fat, chunky tyres give a solid stance to the new Fat Bob. It gets the new 1,745 cc V-twin engine that makes 145 Nm of peak torque. The Street Boba and the Heritage Softail Classic too get the same engine. Some changes common to all three motorcycles are a new stiffened frame, weight reduction, better handling and a more refined engine. The expected prices for the 2018 Harley-Davidson Fat Bob should be around Rs. 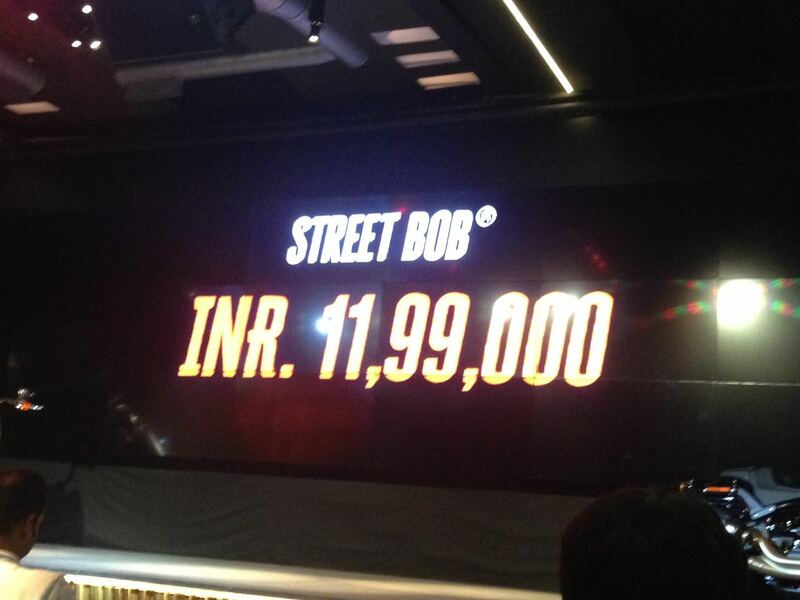 15 lakh while the Street Bob could be priced around Rs. 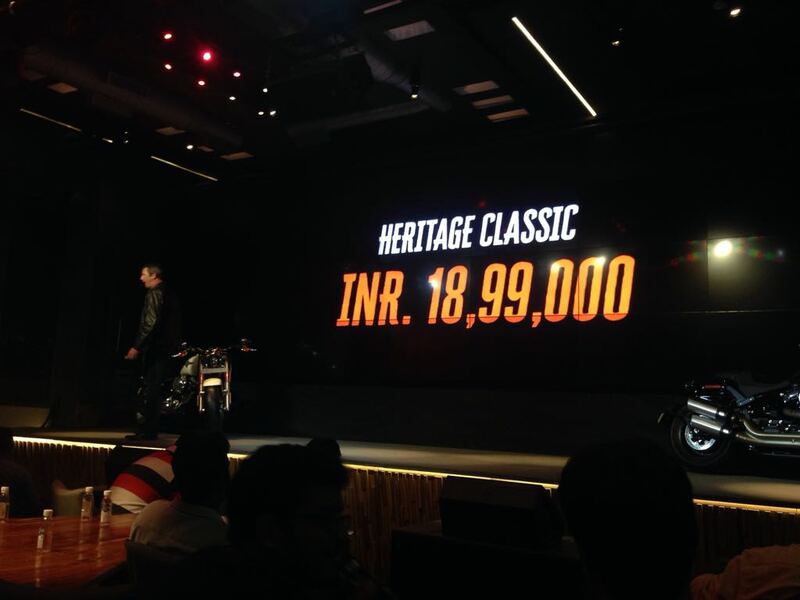 13 lakh and the Heritage Softail Classic around Rs. 18 lakh. That's all from us at Carandbike folks. We will be coming up with the first ride reviews of the 2018 Harley-Davidson Softail range. Keep following us for regular updates. And finally, the 2018 Heritage Softail Classic has been launched in India at a price of Rs. 18.99 lakh (ex-showroom, Delhi). The 2018 Harley-Davidson Fat Boy has been launched at Rs. 17.49 lakh (ex-showroom, Delhi). And the 2018 Harley-Davidson Fat Bob has been priced at Rs. 13.99 lakh (ex-showroom, Delhi). Performance, handling, acceleration, cornering, braking - everything has dramatically improved, says Peter Mackenzie, MD, H-D India and China. 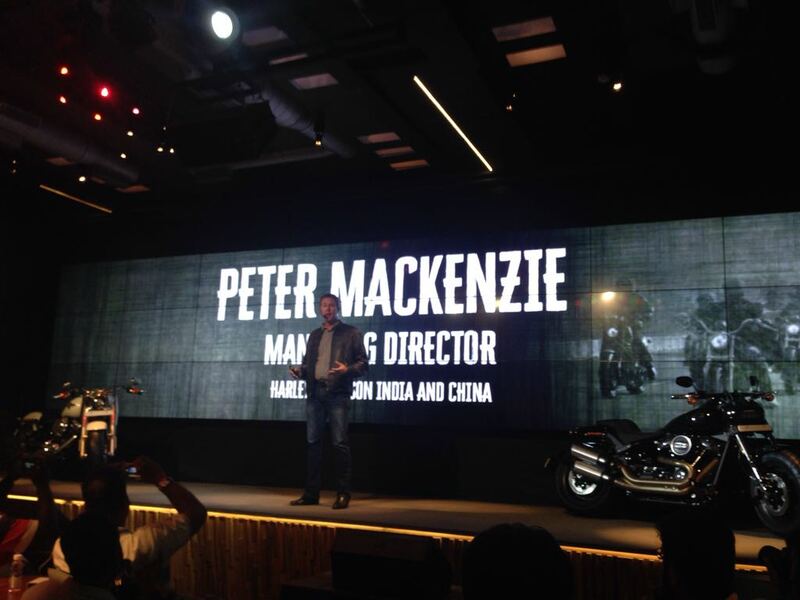 Peter Mackenzie, MD, Harley-Davidson India and China, addressing the audience. 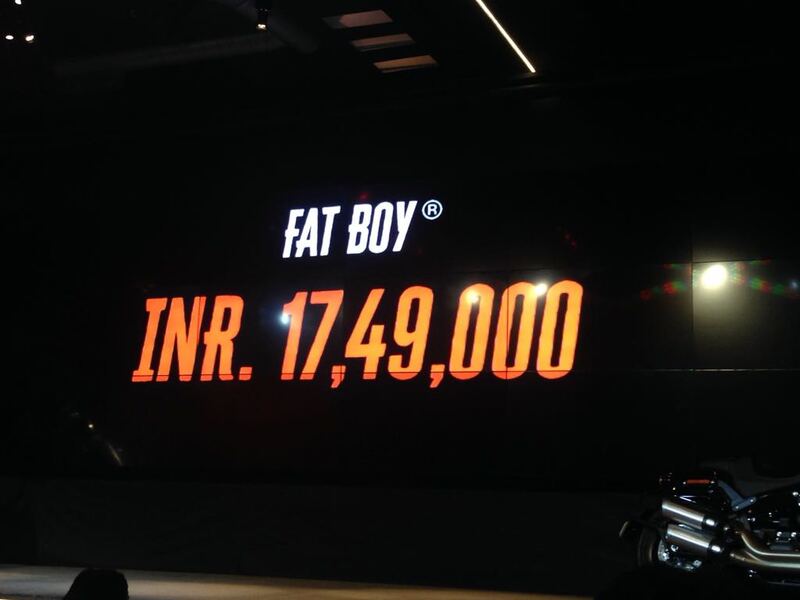 Harley-Davidson will also be launching the Fat Boy Anniversary edition next year. 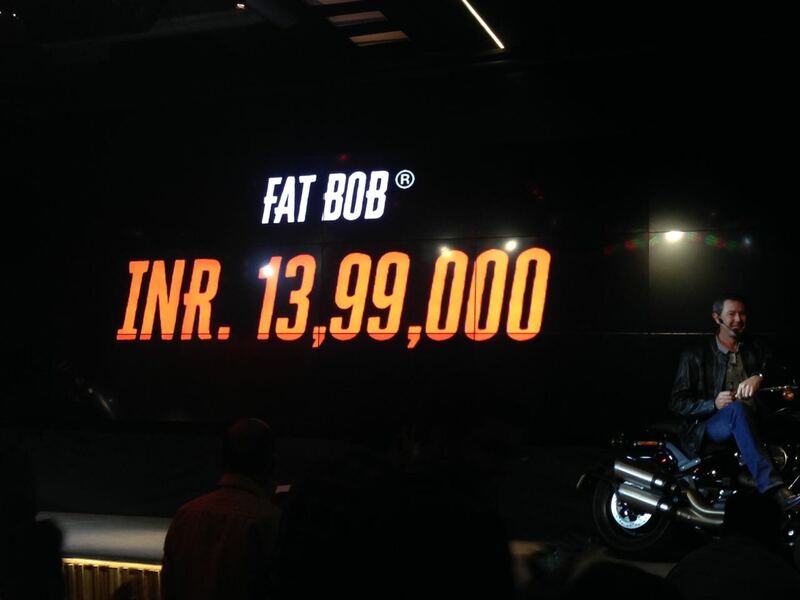 Looks like Harley-Davidson India is also launching the 2018 Fat Boy as well. It will be getting the same Milwaukee 8 107 engine like the other bikes. The new Fat Bob has this aggressive look and feel to it. The square LED headlamp along with the fat front forks and chunky tyres looks bold. Adding to the muscle are the dual exhausts. The bike gets a 1,745 cc V-twin motor which makes 145 Nm of peak torque at 3,000 rpm. The company claims that the new Milwaukee 8 engine is more refined than the previous engine, thanks to the use of counter-balancers. The frame too has been stiffened by 65 per cent, which makes for better handling and a 12 kg reduction in weight from 321 kg to 309 kg. 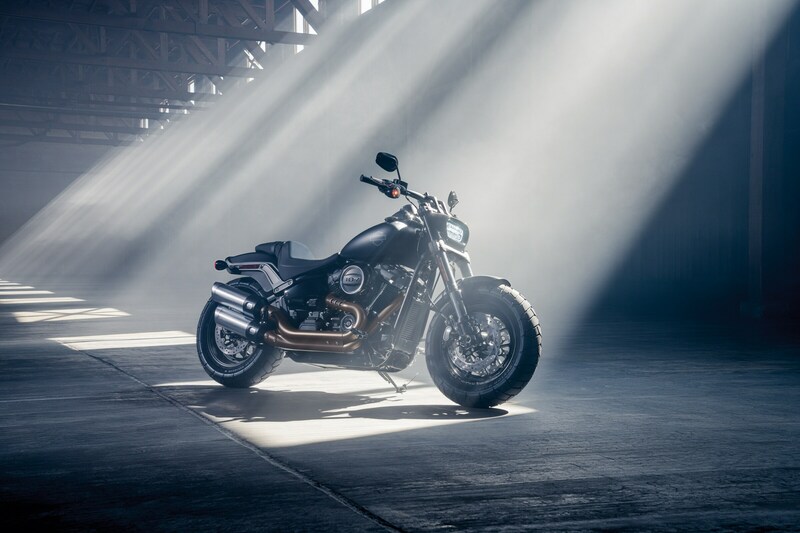 Harley-Davidson could launch four bikes in total at today's launch event, in addition to the Fat Bob, Street Bob and the Heritage Softail Classic. All three bikes which will be launched today get the Milwaukee 8 107 engines, which are said to be more refined, thanks to new components such as counter-balancers. The bikes now weigh lesser too and get updated features. Good Morning! Harley-Davidson India is all set to launch its 2018 Softail model line-up in India. 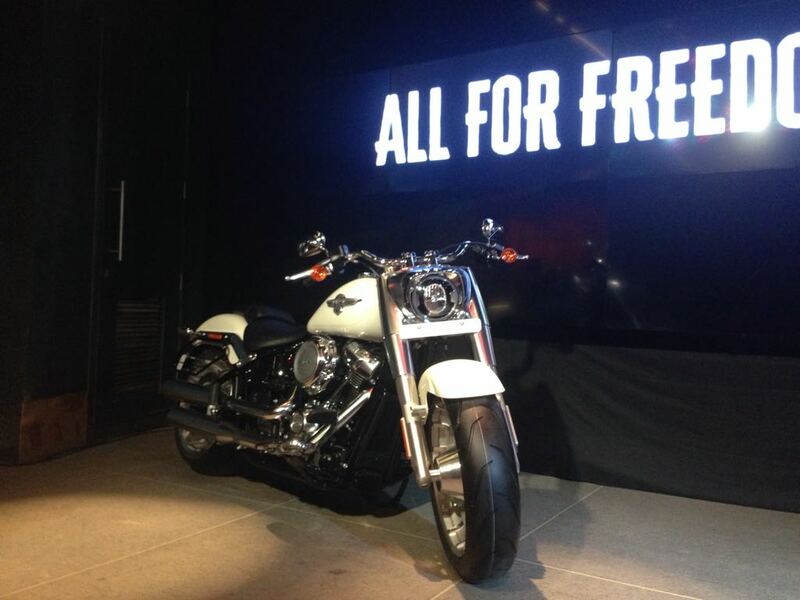 Harley will be introducing three new motorcycles in India today. The three motorcycles are 2018 models of the Fat Bob, Street Bob and the Heritage Classic. Follow our live updates from the launch event.